Beck Brow Ying Yang really catches your eye in the paddock. She has real presence and great strength of bone for a female. Of course she is also a beautiful grey with lovely markings. 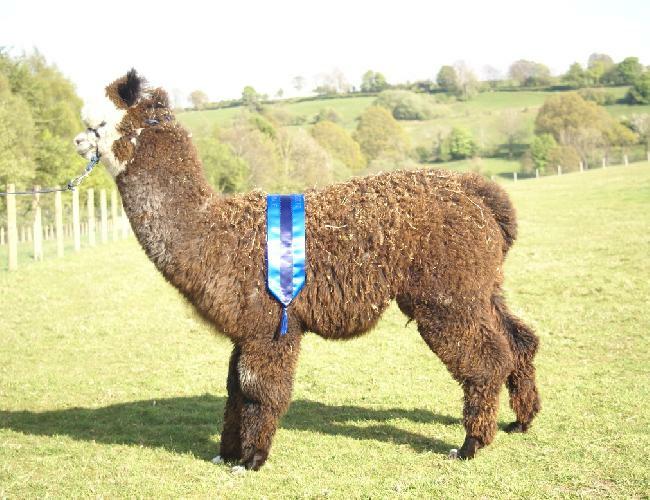 Ying Yang is sired by our multi-championship winning grey herdsire; Ep Cambridge Gunsmith. Her dam Beck Brow Sunday Best (sire: Viracocha Black Sabbath) is also a championship winner and comes from a championship winning line. 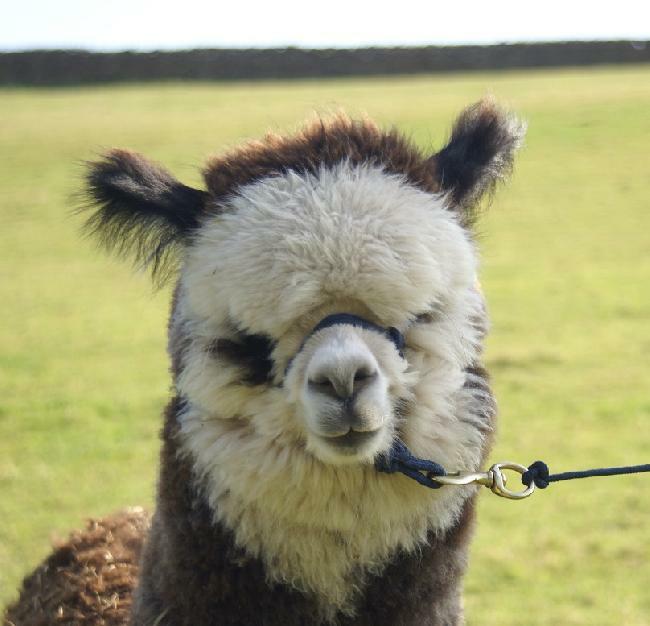 It is because she is related to both our black and grey males that we have decided to release Ying Yang for sale. 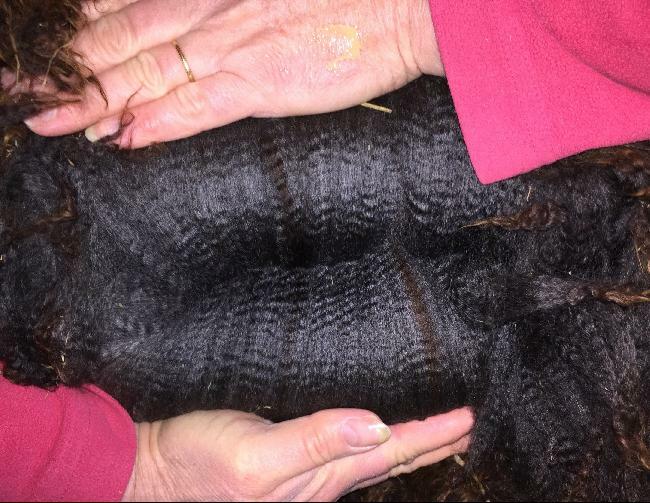 Ying Yang carries a fine, uniform fleece with a good level of density, very good brightness and exceptional fleece length and coverage for her colour. She is very sweet natured and easy to handle. She has only been shown once and was awarded Reserve Grey Female. Vet check and Enferplex testing. Access to all Beck Brow stud services at discounted rates. On going help and support, both welfare and breeding decisions.